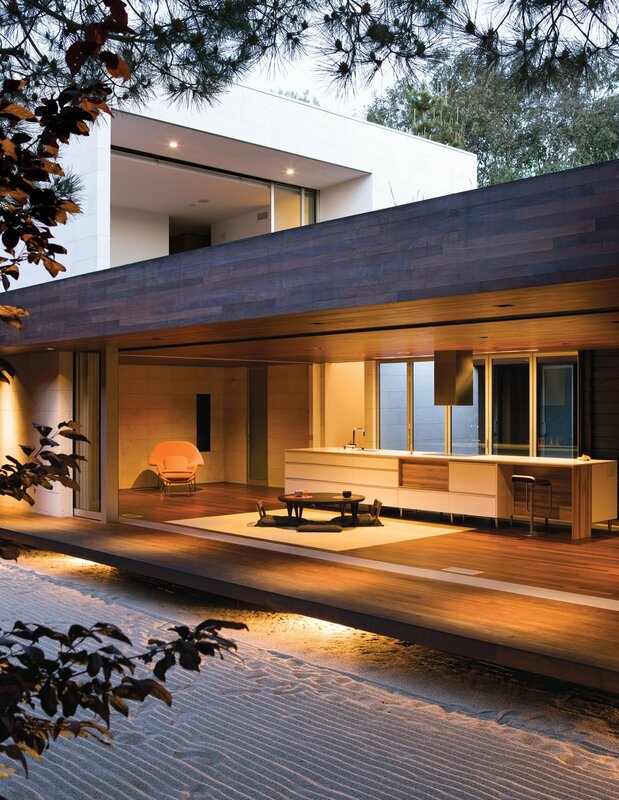 The Wabi House in Carlsbad, California, was the Dwell cover story in September of 2011. Hunter Leggit served as project and construction manager of the house. Protected by an overhang, and floating above ground level, this tertiary space is known in traditional homes as the "engawa." To sustain a unified look throughout, the floor and ceiling are clad in ipe wood.